Some experiments with angled joints. 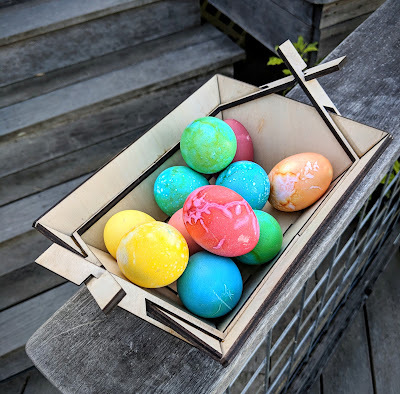 These boxes are experiments with alternatives to the ubiquitous laser-cut box joints. I recently acquired a 3Dconnexion SpaceMouse Wireless Kit. The kit bundles a SpaceMouse Wireless and a CadMouse Wireless. TL;DR: the winner here is the CadMouse Wireless. It is exactly what I want when working in Fusion 360 and as a general mouse for use with my MacBook Pro. 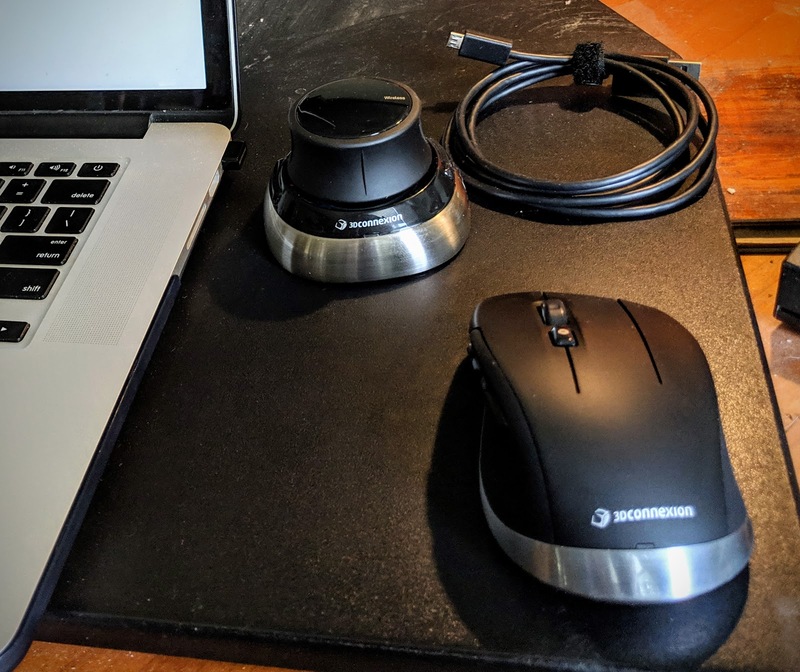 Skip the kit and the SpaceMouse and get the CadMouse if you are looking for an excellent mouse for use with Fusion 360. The CadMouse (wired) or the CadMouse Wireless each list for $99 which seems a bit spendy for a mouse, but it works better than any other mouse I've tried with Fusion 360. 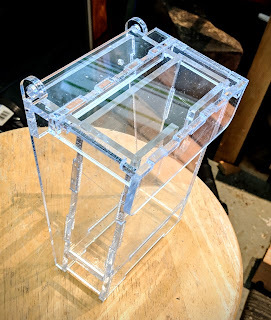 This box design used Direct Modeling techniques in Fusion 360 and two drop-in hinge widget components which I had previously designed. The links to the original hinge components were broken, and the hinges were then customized for the application. The small tansu was inspired by a mizuya-style kitchen tansu (see below). 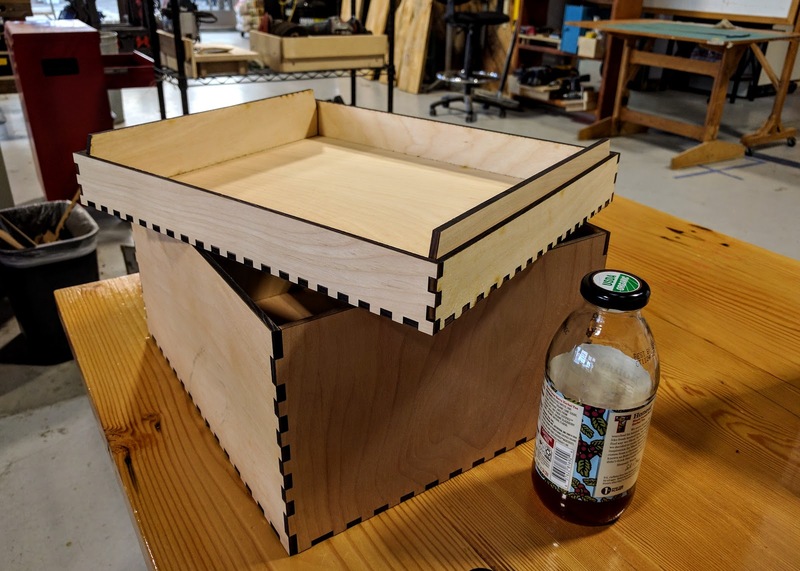 Fusion 360 was used to design the model at 1/5th the scale of the original tansu. 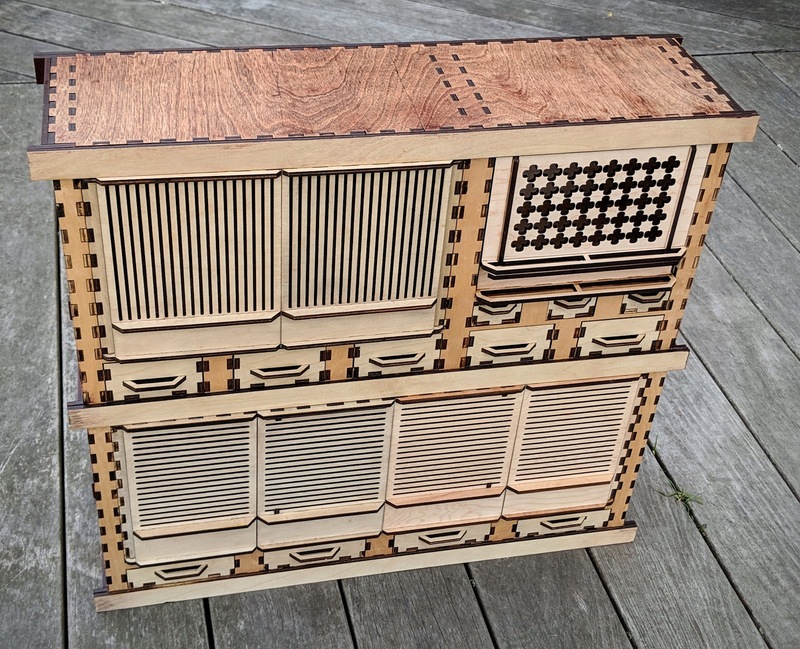 The tansu model was designed for and constructed with laser cutting techniques. There are 187 parts in the assembly - 22 independently moving parts. Ultimately, this small tansu is intended to be a desktop secretary. In December 2016, after 14 months of delays I canceled my Glowforge order and ordered a Voccell DLS 50W laser cutter. I received my DLS 5 months later in May 2017. The Voccell DLS 50 was $3500 at the time including the water chiller and shipping. Today Voccell lists the price at $5000. 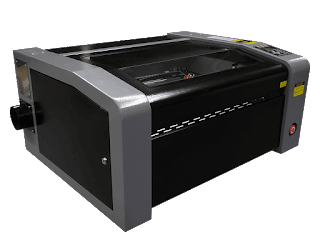 Glowforge describes their product as a "3D laser printer," but it is the same class of device as what the rest of the world refers to as a CO2 laser cutter and engraver. The Glowforge originally went on sale as a pseudo-crowdsourced project by soliciting pre-orders in Sept. and Oct. of 2015 with an "expected delivery" by Dec 2015. They received $28M in fully-paid pre-orders during the phase. Many delays and feature-changes ensued, and the first finished units were not shipped until July 2017. Most of the backlog was fulfilled over the following year, but some international orders still lingered. Makita XPS01 saw on Festool MFT/3 table with Mafell dust bag attached. Note tape over arbor hole to improve dust control. I love track saws. A track saw is a safer alternative to a table saw for many woodworking and carpentry uses. A track saw doesn't require the dedicated shop space of a table saw. 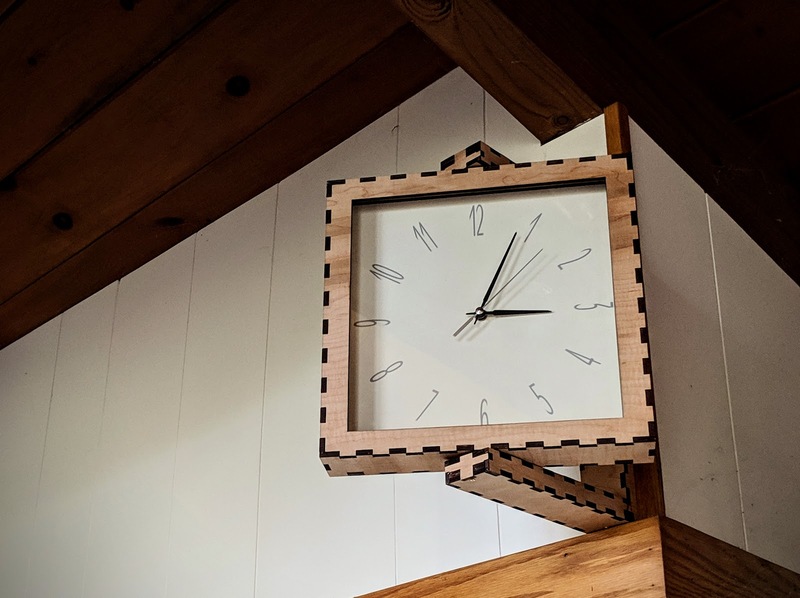 And given a long enough guide rail, track saws are ideally suited to working with large sheets of plywood, acrylic -- the primary laser cutting materials. 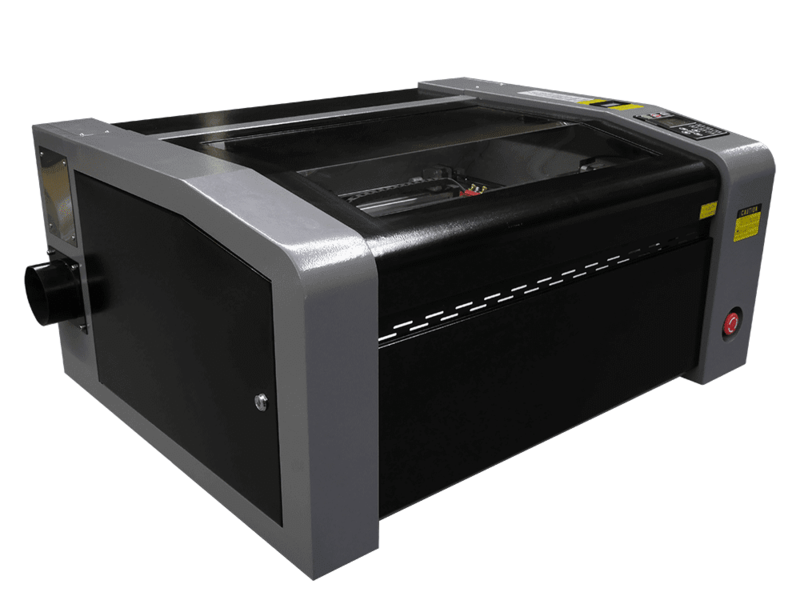 Many laserable materials are sold in large sheets that are much more economical than pre-cut "project" pieces. And some materials are only available in 4'x8' sheets. So being able to work with sheet goods will increase your range of available materials. Festool makes excellent track saws that dominate the market for good reason. 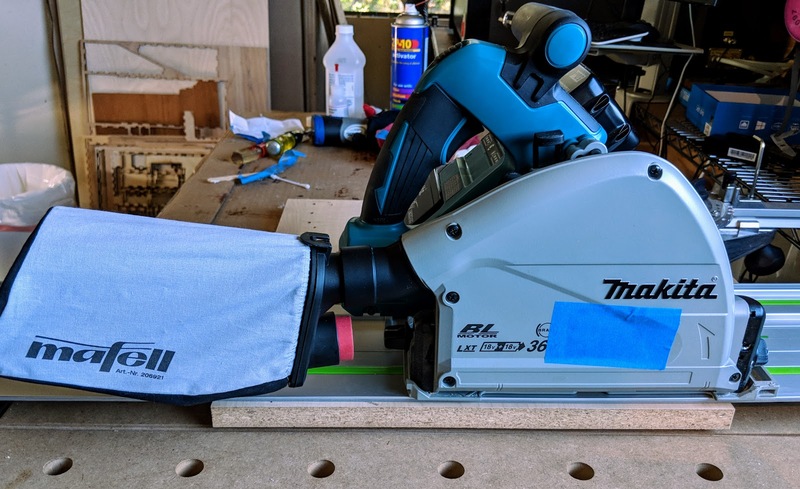 I've used a Festool track saw for years, and I'm a huge fan. But Makita has turned my head with their new cordless track saw -- the XPS01. I developed and built the Fume Coffin - Laser Cutter Exhaust Vent Filter to assist with filtering the exhaust vented from my 50 Watt CO2 laser cutter. But it's not easy to service the Pre-Filter. In the original Fume Coffin design the Pre-Filter lines the interior of the cylindrical HEPA filter. And accessing it requires opening the Fume Coffin and disassembling the HEPA filter assembly. 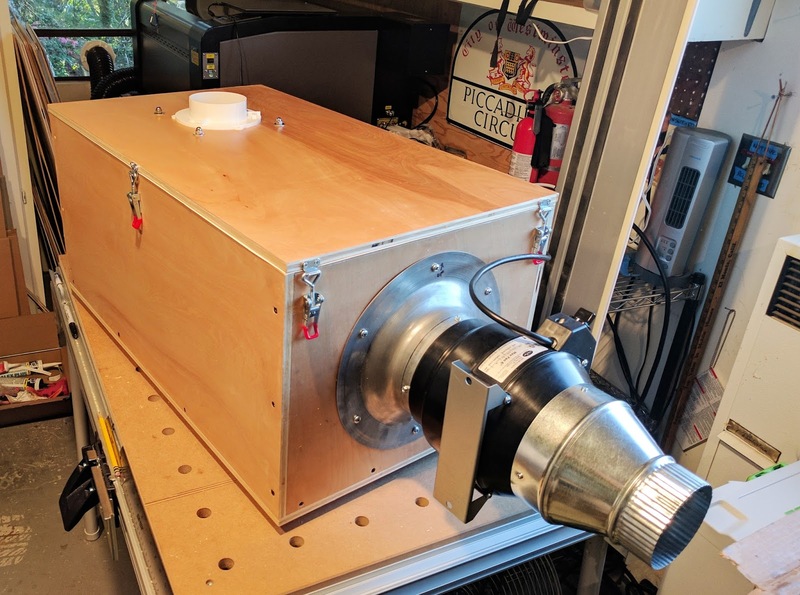 This project replaces (or supplements) the original Fume Coffin's Pre-Filter with an inline Pre-Filter that's designed to be easily monitored (it's see-through) and easily serviced. 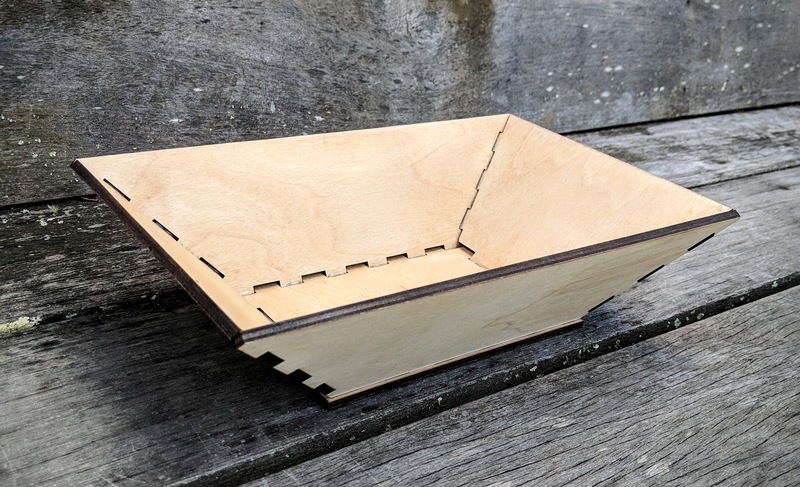 This new Instructable is an optional add-on for the Fume Coffin project. So I designed and built this. It's called the Fume Coffin, and it's a laser cutter exhaust ventilation filter for my 50W CO2 laser cutter. I'm interested in bent plywood techniques. 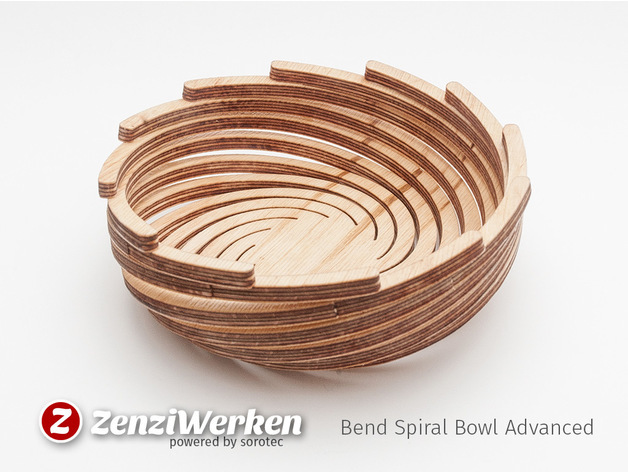 ZenziWerken uses an intriguing technique to craft this bowl. 6mm birch plywood is cut (a CNC router was used here). Then the cut-out was rinsed with water and microwaved at 600W for 1 minute. The bowl is then shaped in a form (another bowl in this case) with lead weights and clamps. The bowl was allowed to dry and harden. Finally, some wood glue was applied at the tops of the spiral arms. 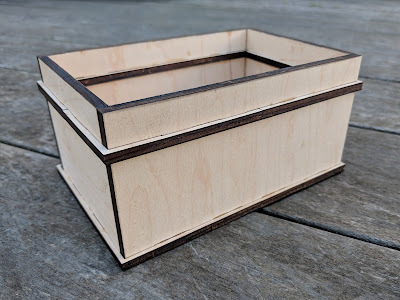 A storage box with a matching lid. 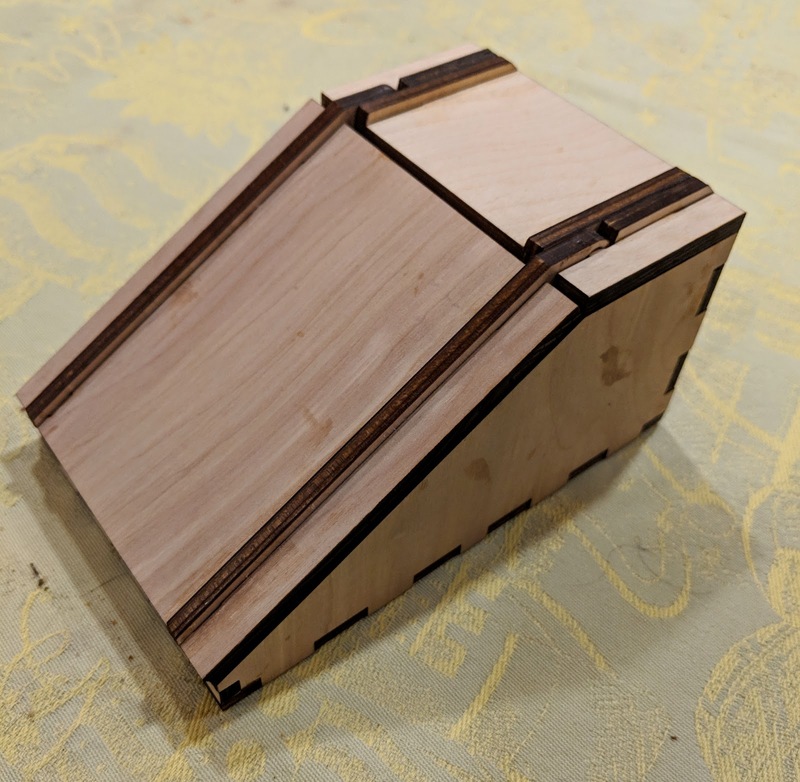 I have built a handful of laser-cut projects based on boxes generated by www.makercase.com. Starting with generic box designs generated to my size specifications by the webapp, I modify and customize the box designs in Illustrator to create matching nesting boxes, lids, additional supports, ornamentation and other variations. Box generators are an effective way to make easily laserable box designs with pre-layed-out joints. 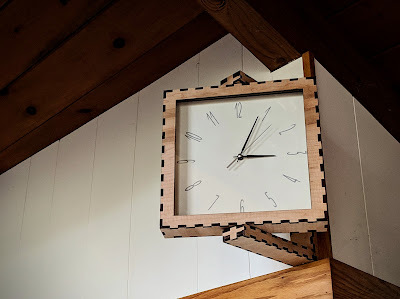 (I find box joints, sometimes called finger joints, work well for most of my designs.) There are many box generators. Many are webapps, some are Python scripts, one is a plug- in for Inkscape. This Instructables article provides an excellent survey: The Ultimate Guide to Laser-cut Box Generators. The major problem I have been encountering with the box-generator-Illustrator scheme is that it puts too much design complexity downstream from the box generation for anything but the most trivial projects. The scheme relies heavily on your wits and planning to get everything to line up and fit.